My new book – now available on Amazon USA and Amazon UK! Bi takes a long overdue, comprehensive look at bisexual politics—from the issues surrounding biphobia/monosexism, feminism, and transgenderism to the practice of labeling those who identify as bi as either “too bisexual” (promiscuous and incapable of fidelity) or “not bisexual enough” (not actively engaging romantically or sexually with people of at least two different genders). In this forward-thinking and eye-opening book, feminist bisexual and genderqueer activist Shiri Eisner takes readers on a journey through the many aspects of the meanings and politics of bisexuality, specifically highlighting how bisexuality can open up new and exciting ways of challenging social convention. Informed by feminist, transgender, and queer theory, as well as politics and activism, Bi is a radical manifesto for a group that has been too frequently silenced, erased, and denied—and a starting point from which to launch a bisexual revolution. 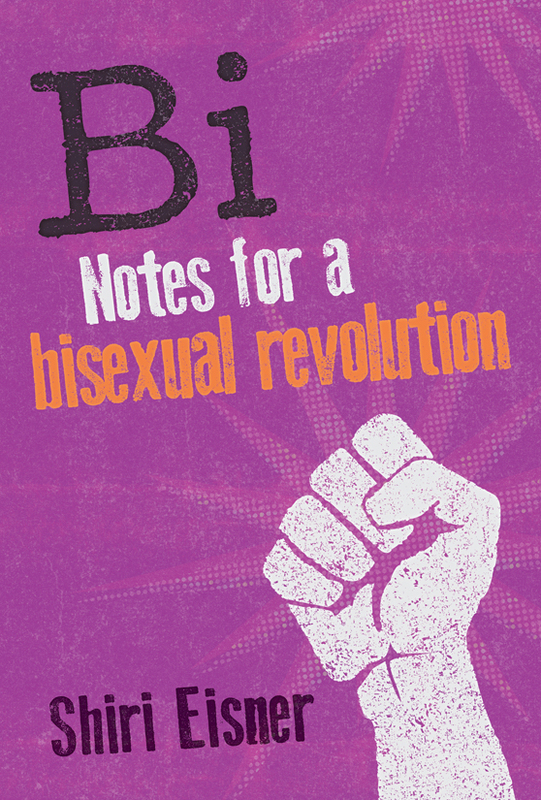 For snippets and excerpts, check out the notes for a bisexual revolution tag! Bi: Notes for a Bisexual Revolution on Facebook! hi! this looks fabulous! any chance it will be made available for kindle? Pingback: New book on bisexuality « Bisexual Alliance Victoria Inc.